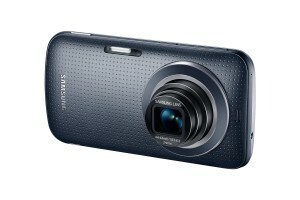 Samsung introduced last April a new hybrid device that integrates a compact smartphone with a high resolution camera. The Galaxy K Zoom has joined the latest technology of Samsung digital cameras with the specs of Galaxy series, offering also a Premium smartphone. The Galaxy K Zoom has an elegant and slim design, which gives it a distinctive touch, partially due to the premium quality of its materials. The camera features a retractable lens capable of providing a 10x optical zoom while maintaining a considerably slim body, with a 16.6 mm thickness. In addition to the optical zoom, the camera carries a 20.7 MP BSI CMOS sensor and an f/3.1-6.3 aperture, capable of maintaining a high resolution and clarity even in low light conditions. He also includes an optical image stabilizer (OIS) and a Xenon flash, brighter than a conventional LED flash, capable of providing images with a more natural brightness. The Galaxy K Zoom also includes the functions characteristics of the cameras, such as the ability to control separately the exposure and focus, so that we can control at all times the amount of light required to obtain the maximum clarity in every scene. It also has 5 different configurations and it can also acquire motion pictures with great detail. We can select a portion of the image and the camera can track its movement, adjusting the focus to follow the selected object, keeping the image focused at all times. In a similar way, we can record videos in high resolution, Full HD (1080 pixels and 60p), with maximum precision and detail. 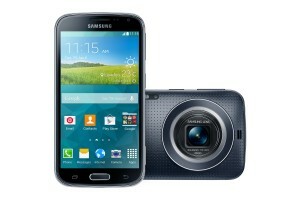 In addition, the smartphone has the set of specs typical from the Galaxy series. The screen is a 4.8 inch SuperAMOLED, with a resolution of 720 x 1280 pixels. It has a six-core processor, running at 1.7 GHz (duo core) and 1.3 GHz (quad core) respectively. The device has a RAM of 2 GB and includes 8 GB of internal memory, expandable to 64 GB via microSD card. The Galaxy K Zoom also features a 2 MP front camera, ideal for all selfies’ lovers, with an alarm included to optimize the acquisition. The Galaxy K Zoom works with Android 4.4.2 customized with Touchwiz, and includes the whole package of applications from the Galaxy family. We can find the power saving feature known as Ultra Power Saving Mode, the App Studio (for editing images and videos comfortably) and even the S Health Lite, if we want to monitor our physical activity. We may also use the Camera Studio 2.0, a major center for photographic applications, where we can find all kinds of apps that allow us to edit at will the acquired images. It also includes a collection of sensors, such as accelerometer, gyroscope, and geomagnetic sensor, among others. With a 2.430 mAh battery, it has dimensions of 137.5 x 70.8 x 20.2 mm and a weight of 200 grams. It is available in Europe for 499 € in two colors: black and white.